Employment wage and hour law is governed by both state and federal laws. Depending on the specific area of law you are interested in, you may need to research Maryland state law, federal law, or both. The Maryland Department of Labor, Licensing, and Regulation's Division of Labor and Industry regulates wages and working hours in Maryland. The Department's regulations are published officially in Title 9, Subtitle 12 of COMAR (the Code of Maryland Regulations). The print version of the COMAR is available in all Maryland law libraries and many Maryland public libraries. The Department's regulations are also available electronically on the Division of State Documents home page. The U.S. Department of Labor's Wage and Hour Division ("WHD") regulates minimum wages, maximum hours, and other related employment conditions. The WHD's regulations are published officially in Title 29 of the CFR (the Code of Federal Regulations). The print version of the CFR is available in all Maryland law libraries and many Maryland public libraries. The Employee Benefits Security Administration ("EBSA") regulates employee benefit plans such as pensions, 401(k)s, and health plans. Its regulations are officially published in Title 29 of the CFR. They are also available electronically on the EBSA web site. The resources below may help you to understand employment law. Keep in mind, however, that books explaining the law are no substitute for the law itself. You should always verify what the authors of these books say about the law by looking up the statutes, cases, and regulations the books cite. Some of these books may also include sample forms. Fundamentals of Employment Law / Karen E. Ford, Kerry E. Notestine, Richard N. Hill, editors. 2nd ed. Chicago, Ill.: ABA Tort and Insurance Practice, 2000. Maryland Employment Law / Stanley Mazaroff. 2nd ed. Charlottesville, Va.: LEXIS Publishing, c2001-. Maryland Employment Law: Forms and Practice Manual/ Carla N. Murphy. Brooklandville, Md : Data Trace Pub. Co., 2006. Your Rights in the Workplace / Barbara Kate Repa. 10th ed. Berkeley, Calif.: Nolo, 2010. The Employer's Legal Handbook / Fred S. Steingold. 10th ed. Berkeley, Calif.: Nolo, 2011. There are several ways to begin research into wage and hour case law. One way is to find the statutes that apply to your situation in the Annotated Code of Maryland, the United States Code Annotated, or the United States Code Service then look at the case summaries following them. You can find additional cases by reading books that explain the law and noting the cases they cite. 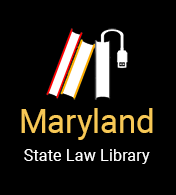 Another method of finding cases is to search the Maryland Digest, a subject index to Maryland case law, or the Federal Practice Digest, a subject index to federal case law. The Digests organize summaries of published cases by legal issue using something called the "topic and key number" system. Once you know the topic and key number combination for your issue, look up that topic and key number in the Digest and you will find a list of case summaries that discuss your legal topic. Each summary will include a citation to the full text of a case. This section developed by Sara Kelley, Librarian, Georgetown University Law Library, updated by the staff of the State Law Library.